Cryptocurrency may as well be called "cryptic currency," because it's nowhere near as easy to figure out as typical money. For one, while most of them (and yes, there's more than one) have names that end with "-coin," they don't usually come in physical form. Yes, they do represent money in digital form, but using them is a bit more complicated than digital payment services like, say, PayPal or Google Wallet. Also, unlike banks and online services, they're decentralized, with no single governing body overseeing and verifying transactions -- there's a reason why bitcoin was (is?) the currency of choice for black market regulars. Bitcoin ("BTC") isn't only recognized as the first cryptocurrency; it's also the basis for every other crypto-coin that's popped up since it was formally introduced in 2009. "Satoshi Nakamoto" (the pseudonym used by the person or the group of people who created bitcoin) designed it as a peer-to-peer system that relies on users to keep working. Also, all transactions are recorded on a public ledger (called "block chain"), so even though no name or email address is associated with an account, the system's not entirely anonymous. Similar alternative currencies follow that structure even now, though they add features of their own, as well. Litecoin, for instance, was designed for faster transactions (the average confirmation time for each bitcoin transfer is 11 minutes as of January 2015, because it has to be verified by a miner -- more on this later), while Quarkcoin promises a more secure system. 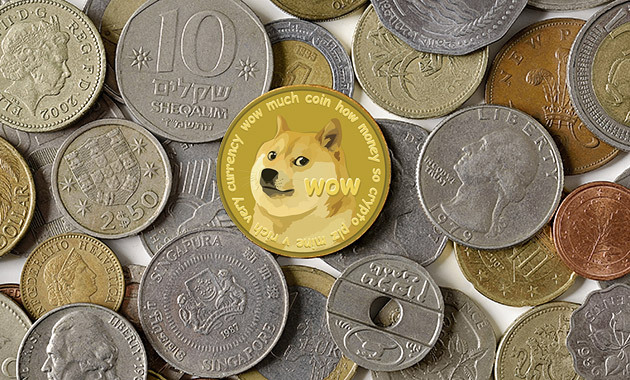 Others rely on their novelty more than anything, such as Dogecoin, which likely appeals most to fans of the (in)famous doge meme and Coinye West that was seriously a thing until Kanye West went onstage to court and didn't let it finish had it shut down. Now, if you're wondering if you should invest in any kind of cryptocurrency, the answer isn't simple: It depends, as their values fluctuate quickly and widely. Take for example, bitcoin, which reached its current all-time high of $1,242 per coin in November 2013, whereas each BTC was worth only around $200 a few months before that. As of this writing, bitcoin's value is back to $210, and who knows if it'll ever be worth more than $1K apiece ever again. Point is, if you plan on investing your life savings on bitcoin or any other alternative, you'll have to study it closely and prepare for the consequences. Instead of getting your kids' college tuition or your retirement fund when you're ready to liquidate, you might end up with but a fraction of what you originally invested. Still want some first-hand experience with these crypto-coins anyway? We put together some basic info you should know before getting started, using bitcoin as the reference currency. You can use one of the many exchange services that buy and sell BTC for US dollars/whatever your local currency is. This is obviously the easiest way to get started, as all you need to do is choose among one of the many options available. Some money changers are pretty strict and will ask for a copy of your ID and proof of address, but that's still easier than the other two ways below. 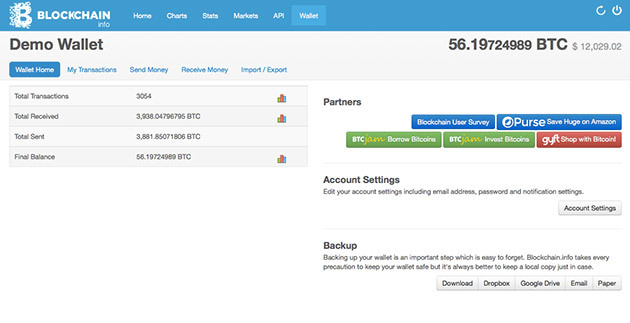 Finally, you can "mine" for bitcoins. This one isn't something we'd recommend if you're new to cryptocurrency, as you'd need specialized hardware (ASIC miners, in particular, which are USB-powered devices that don't do anything else) to do it for you. "Mining" is the process of verifying transactions and adding them to the public ledger or the block chain, in bitcoin's case. In addition, it's the only way to introduce new bitcoins into the circulation, as miners are rewarded for every block of transactions they process. As we mentioned earlier, cryptocurrencies aren't regulated by any institution, so there's no bank that would print more money when the need arises. Take note, though, that the system makes it harder to mine the more blocks of transactions are processed. The rewards were also designed to be cut in half every four years to prevent inflation and to keep the total number of bitcoins in circulation to 21 million at most. At the moment, the reward for each block mined is 25 BTC, and the process has become difficult to the point that you'll now have to join a mining pool if you actually want to earn anything. A mining pool combines the resources of a group of people to mine bitcoins and divides the loot amongst the members. Sound complicated? Well, mining isn't exactly a simple concept. Watch the video above first, then let's try to visualize the idea: Imagine that you're an actual miner with a pickaxe in your hand, and there's a big boulder in front of you with golden coins hidden in its very center. To get to the gold coins, you'll have to chip away at the boulder: The better your equipment is, the faster you can go. Unfortunately, you're not the only one trying to get to the center of the boulder, and it's a race between you and other miners with better, more high-tech pickaxes. That's why the best way is to pal up with other people to get to the very center of the boulder and divide the loot. As time goes by, though, you'll notice that boulders become harder to break and the gold coins in the center become fewer in number. That's but an oversimplification of the process, of course, but it should give you an idea of how it works. The boulder in this case represents a block or a big bunch of transactions miners have to verify and solve. Each piece of rock a miner chips away represents a verified transaction, and the gold coins represent the bitcoins a miner can earn and introduce into the circulation. Before you exchange your hard-earned dollars or mine for some BTC, though, you'll first need a wallet to keep your virtual money in. Within these wallets, you'll find your secret codes or keys needed to be able to spend your coins, as well as an address (which functions similar to a PayPal email, except it's a long code of letters and numbers) that you need to give people sending you money. Some wallets can even generate several addresses so you can give a different one to every person you're transacting with as an extra precaution. There are many types of bitcoin wallets, including desktop programs and mobile apps, which are ideal if you want to pay for purchases in brick-and-mortar stores. Some of them can be accessed online, but in case you end up with an inordinately large amount of bitcoins, you're likely better off keeping most of it offline in what's known as "cold storage." While bitcoins stored online are more easily accessible, everything stored offline is much safer. When exchange service Bitstamp was hacked in early January, the thieves got away with "only" $5 million, because most of the company's reserves were stored offline. We kept saying earlier that bitcoins don't have a physical form -- well that's still true, but in addition to apps, programs and online services, another way to store the cryptocurrency is through "paper wallets." There are businesses that will print your address and private key as QR codes on a card. Want something fancier than a paper card? A website called Casascius sells actual physical bitcoins (which you can see in the top image) with your address and private key hidden underneath a hologram. They used to come loaded with spendable BTC, but after being questioned by the feds, the owner has decided to sell them empty -- you'll have to find a way to load the coin on your own. For those who think paper and flashy coin wallets are too risky, there are special hardware wallets that promise to keep your money secure while also being easier to access, such as that prototype bracelet by MEVU. Some physical wallets even take on an unusual form, like a CD or a vinyl encoded with private keys as audio files. Since cryptocurrencies aren't governed by an institution -- there's a Bitcoin Foundation, but it merely promotes the currency's use and doesn't function like a bank -- they've become ideal for transactions that, well, aren't exactly legal. As we've mentioned earlier, bitcoin is the online black market's preferred method of payment, including drug and gun transactions, among other items. Prominent black market website and marketplace "The Silk Road" had $25 million worth of bitcoins seized by the US government during a raid back in 2013. The government ended up auctioning 50,000 BTC from what was confiscated. A bitcoin exchange executive and foundation member was even sentenced to two years behind bars for helping run an underground dollar-to-BTC operation for Silk Road regulars. Also, because exchange services keep part of their reserve in online wallets, quite a few companies were hacked in the past year. One of the most high-profile bitcoin-related security breaches happened to Japan-based exchange company Mt. 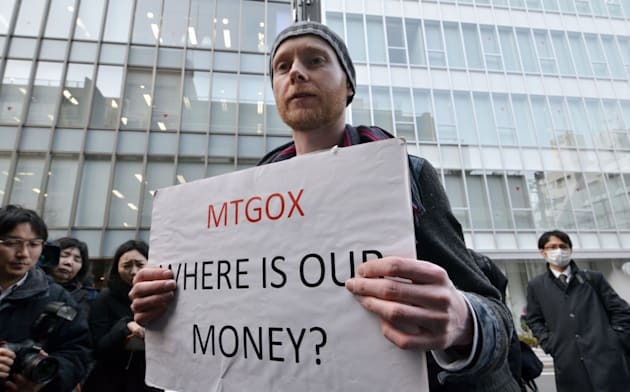 Gox, which lost 850,000 BTC and ultimately had to shut down. According to the latest info from authorities in Tokyo, it could have been an inside job. Mt. Gox CEO Mark Karpeles has recently been accused of being Silk Road's mastermind who hid behind the name Dread Pirate Roberts, something that he categorically denied. Speaking of naming people as the face behind pseudonyms, Newsweek published a piece in 2014, pinpointing Japanese-American and California-native Dorian Nakamoto as the Satoshi Nakamoto. Nakamoto also denied being bitcoin's creator and even raised a legal defense fund to sue the publication as the publicity has apparently caused a major inconvenience and hurt his family. Want to know more? We have a more in-depth piece about bitcoin, if you'd like to dig deeper into currency and the technology behind it.